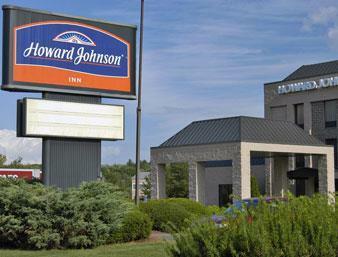 Find family-friendly adventures at this Howard Johnson Express Inn - Amherst Hadley just off Interstate 91 near concerts at the Iron Horse Music Hall or the Fine Arts Center UMass Amherst, thrilling rides at Six Flags New England, and the collection of book illustrations at The Eric Carle Museum of Picture Book Art just minutes away. Enjoy a meal at Route 9 Diner less than two miles from this lodging. Complimentary car and large-vehicle parking makes it easy to bring a crowd. Energize your morning with a complimentary Rise and Dine continental breakfast with hot items and complimentary newspaper, and visit the fitness center. Plan your adventurous day with the complimentary wireless Internet access, and relax in the outdoor pool. Stay productive in the business center with a computer and printing services. Refresh in your guest room watching TV or enjoy the coffee/tea maker. Find extra comfort in suites, smoke-free and handicapped-accessible rooms. Pets are welcome at this lodging.